Love the geometric lines & the colors! 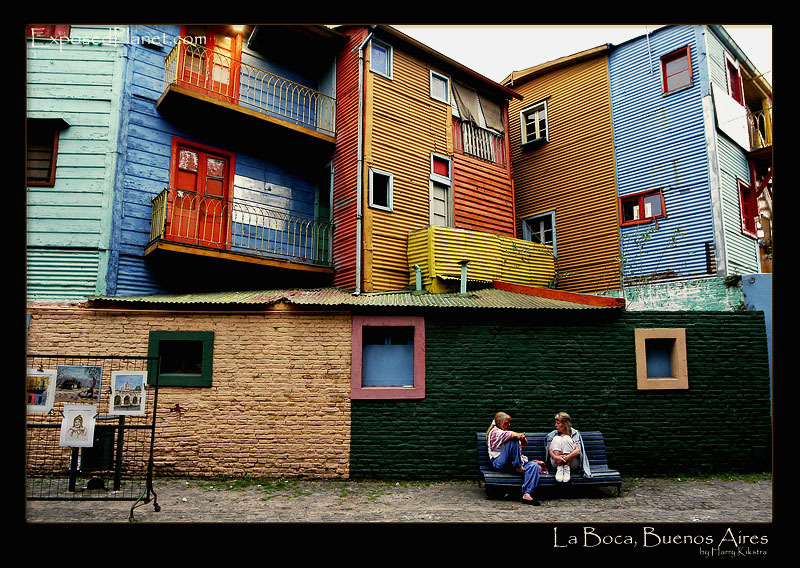 Being an artist myself, I think I would really like La Boca. Ditto on the colors and geometric lines. The story behind "La Boca, Buenos Aires, Argentina (1)"
La Boca is a barrio in Buenos Aires, the capital of Argentina. As you can see it is very colourful, in many ways. It is popular by tourists as it is the center of the Tango bars as well as a haven for artists of all kinds, but still many streets are quiet places like these, where you can just sit and relax and enjoy the art for sale. The brightly painted houses make it a joyful experience to walk around here, even on on an overcast day like this one. Part 1 of 2.